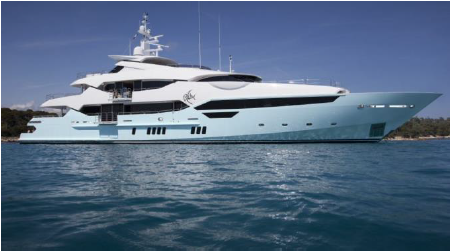 Profile: Sunseeker is the top British luxury motor yacht manufacturer which is also a leading figure in the global market. Based in Poole, UK, Sunseeker employs a 2500-strong workforce and manufactures cutting edge yachts ranging between 50 – 155 feet. Need for large-format template digitising: Motor yachts are about the inside as much as the looks of the outside. They boast a luxury taste of all kind of interior furnishings including upholstery and tiling. These often require reverse-engineering existing templates which involves digitising the physical shape of templates into CAD/CAM systems. These templates can be massive in size, often between 2 to 3 meters which introduces new challenges for the digitising process. Use of iDigit: The objective here is straightforward: Digitising large-format patterns as quickly as possible without compromising on accuracy. Also, the system used to accomplish this objective should preferably be lightweight, portable, easy to install and integrate into existing systems. This is where iDigit comes to the scene. In most other industries where iDigit is employed templates are typically between 50-150 cm in size and often made of paper or card which allows those patterns to be affixed to iDigit’s standard magnetic canvas which is fixed on a wall. However, in this case it becomes more practical to lay the customised large-format canvas on a flat surface and taking pictures of patterns with a camera suspended on a special apparatus fixed on the ceiling. 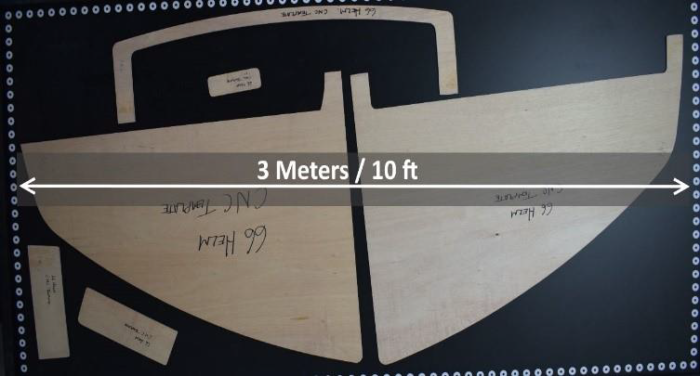 When the templates are large enough and made of thick, solid material such as plywood or plastic it becomes difficult to affix them on a vertical surface. This goes for large patterns made of soft material such as fabric or leather as well. The solution for this problem is letting gravity do the job by laying templates on the horizontal surface of the custom iDigit canvas. Once templates are placed on the surface the picture is shot automatically with the suspended camera which is connected to the PC via USB cable. Then iDigit does the rest in a matter of seconds by detecting the templates in the image and converting them into Dxf file. Furthermore, since iDigit doesn’t require any manual calibration the system stays tuned even if the location of the camera or canvas changes.